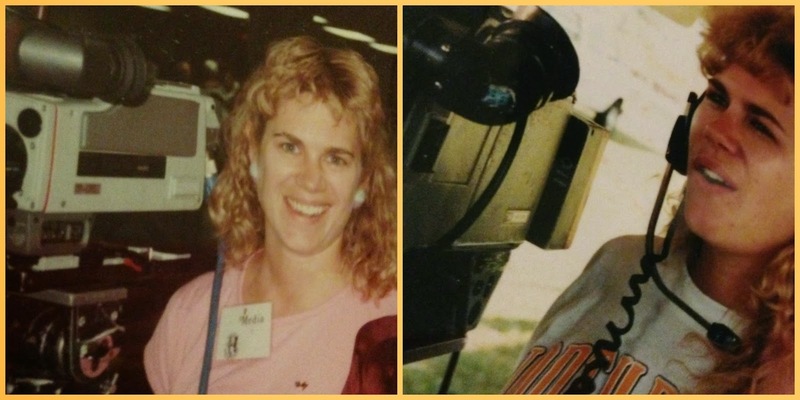 Fourteen years ago I gave up my career in television news to stay at home to raise my newborn son. It was a decision I will never regret. These past fourteen years raising two amazing boys has been fabulous and the most rewarding experience a person could have. Now that my children are older their needs have changed and they are becoming more independent. I am finding myself with more free time -- the question now becomes how to fill that free time. Of course getting back into the workforce is the most obvious direction, but I am at a total loss on what to do. Entering back into the field of television news is not an option for our family or myself. Just the hours alone wouldn't be conducive to the family life we planned for our children. Plus the fact of how television news has changed drastically over the past 14 years. It's time for a lot of soul searching and serious thought to discover my new purpose in life. During this process I have discovered -- to find your purpose in life - you must first find you passion. But do you find your passion or does it find you? For some this is an easy answer, but others this could take months even years of reflection and answering questions that require you into dig deep into your soul, uncovering what holds you back and what derails you from your happiness. The past couple of months have had me asking myself many questions -- looking deep within for the answers. The answers are not always there, but I keep forging forward trying to find them. It's a process and a journey. On this journey I have begun to try new experiences. I am stepping out of my comfort zone and pushing past the fears. Clearing out the things that are holding me back and that are not fulfilling. What I'm finding out is my core self. I like the simple things in life -- to laugh, enjoy nature and to share my experiences with others. As I journey down this path I feel inspired to share with you. 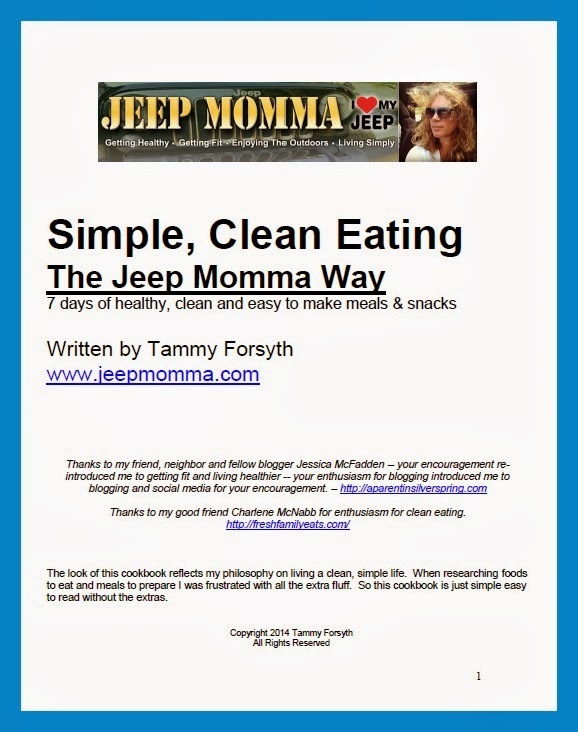 I have written a short cookbook with my new found love for Simple, Clean eating - The Jeep Momma Way. 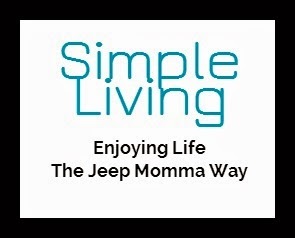 But that just didn't seem to be enough so I decided to create a website -- Simple Living, Enjoying Life - The Jeep Momma Way. My goal was to share my ideas in a simple easy to read format. I will continue to share my adventure as I journey to my discover my purpose and passion here on this blog. In the meantime please check out my new cookbook Simple, Clean Eating - The Jeep Momma Way.